All too often vital change only occurs at the brink of chaos. Decision-makers, strategists, policy planners adjust for the evident, but all too rarely choose to explore the what might be’s – factors that have transformative consequences beyond the immediately obvious. This is certainly the case for what is generally referred to as ‘the humanitarian sector’ – those institutions and individuals who have roles and responsibilities for preventing, preparing for and responding to disasters and emergencies. A growing number of practitioners as well as policy analysts and academics are recognising that the assumptions that have underpinned humanitarian action to date are increasingly challengeable. The ‘humanitarian paradigm’ with its origins in the early 1970’s in many ways continues to be sustained today. It reflects assumptions about ‘the vulnerable South’ and ‘the resilient North’, a distinction between so-called ‘man-made’ and ‘natural disasters’ and that — while ‘local’ should ostensibly be the predominant response conduit — International humanitarian experts in the final analysis know what’s best for victims of disasters and emergencies. That humanitarian paradigm, however, is clearly under threat. The emerging challenges which the humanitarian sector now face has many sources. The issue of failed ‘safeguards’ for staff as well as for beneficiaries is but one. The fact that states in the so-called resilient north have all too often failed to respond adequately to their own crises such as Japan’s 2011 Fukuyama tsunami or the US’s Hurricane Katrina is another. There, too, is the fact that the presuppositions that underpin humanitarian action – the principles – have increasingly failed to make access a practical reality. The list goes on, but the fundamental inadequacy of the present humanitarian paradigm lies in a far more fundamental assumption, namely, that in an ever more complex and fragile global system, mutual self-interest rather than compassion, per se, is a far more realistic approach to humanitarian action. One of the reasons for the mutual self-interest focus is a different understanding about what can be called the ‘normal life’ proposition. That proposition assumes that all societal phenomena, including disasters and emergencies, reflect highly complex messes. They are interconnected and not restricted by geo-political boundaries or particular timeframes. They perpetually evolve, and this perspective runs contrary to standard assumptions underlying the term, ‘humanitarian’. That term is principally focused on systems failures, isolating causation to single sets of factors and a belief that such failures have finite beginnings and ends. A normal life perspective, on the other hand, assumes that, as with all complex systems, humanitarian crises are inherently part of systems that are in constant flux, driven by a ‘persistent need for energy’. They are in a state of ‘non-equilibrium’. In that sense, humanitarian crises also reflect the ever-fluctuating boundaries of ‘normal life’, and those boundaries are moving in myriad directions. If crisis threats may be viewed from a normal life perspective – bound neither by space nor time and in continuous flux – then, for example, technological change and concomitant globalisation affecting normal life suggest that humanitarian crises also have to be seen as ‘global’ in their consequences. The implications of this perspective is, for example, that conventional distinctions between ‘developed’ and ‘developing’ will conceptually be less relevant, and that a more appropriate focus will be on ways that any single event triggers multiple and complex reactions globally and without predictable timelines. The abiding issue in the relationship between normal life and humanitarian crises is that they are inextricably linked, that to attempt to separate the one from the other is to lose the dynamics and dimensions of ‘messes’. 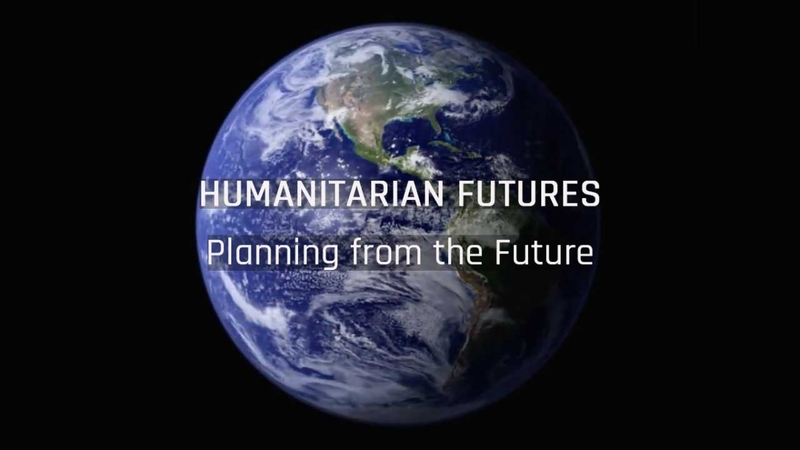 Hence, to understand the societal factors that may result in humanitarian crises requires in the first instance insights into plausible transformative factors and the ways that they might influence or be influenced by society. – in other words, the extent to which they will have truly transformative or incremental impacts. The types of humanitarian crisis drivers that may emerge will reflect this tension. And, it is with this normal life proposition that the mutual self-interest assumption becomes particularly relevant. Human beings will increasingly be forced to respond to the need of others not necessarily based upon compassion, per se, but upon a recognition that what threatens one portion of the human species – be it floods, conflict, pandemics or financial collapse – will spill over into the domains of others. Mutual self-interest – perhaps even more than compassion – recognises a very realistic and profoundly important perspective about equality and interdependence, which humanitarian action as well as the present humanitarian paradigm have failed to acknowledge to date. This short discussion paper serves as an introduction and any comments are most welcome beneath any current articles.